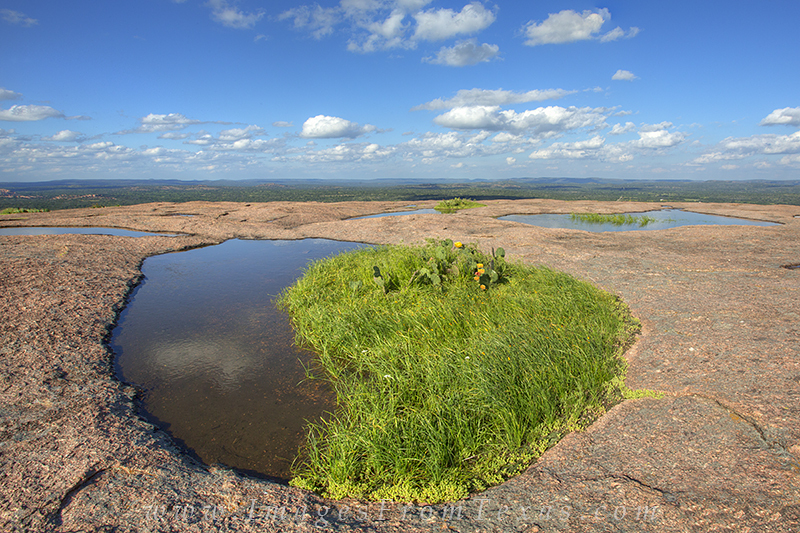 On a picture perfect late afternoon in the Texas Hill Country, the vernal pools at Enchanted Rock are full of water. Rains had fallen for weeks, leaving these little sanctuaries strewn across the granite summit of this famous Texas landscape. Within the small bodies of water, the depressions teemed with life. Some of these pools resembled the yin and yang, so I named them the Zen Pools of Enchanted Rock. Photo © copyright by Rob Greebon.